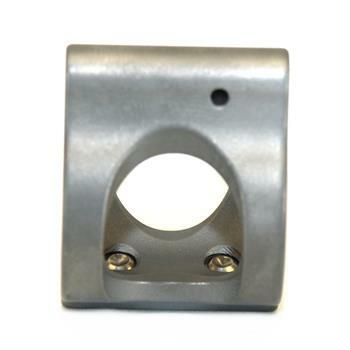 DS Arms - 2A Armament AR15 Ultra Light Titanium Gas Block - .750"
Titanium Parts → 2A Armament AR15 Ultra Light Titanium Gas Block - .750"
The 2A-Ti gas block is a simple solution for those looking to save weight on the AR-15 style of firearms. By utilizing titanium, weight can be reduced by as much as 40% over standard steel gas blocks. The low profile design works well under hand guards, and anywhere else that space is at a premium. A basic two set screw design ensures a secure fit, and an easy installation. Blue locking compound is recommended, as well as a dimpled barrel for a superior install.